There are many things you expect to find in this slice of eastern Sydney: a wealth of identical apartments, immaculate lawns, very few trees and a lot of people cooking on their brand new barbecues outside on their brand new balconies. It's probably not the first place you think of when it comes to exciting restaurant openings. And yet, here's Lucio Pizzeria in an area I can only describe as Meriton-does-Stepford-on-Zetland. It's a pretty surreal place to visit. I imagine if you're not relaxing in your serviced apartment, you're probably hanging out inside the massive East Village complex – a very new, very shiny shopping mall where you can purchase an Audi, work out at Virgin Active, then get a cheesy slice, all without crossing a road. And so, having failed to purchase either a luxury car or a step class, I eat two pizzas. They're good, too. And so they should be at the hands of master pizzaiolo Lucio de Falco. 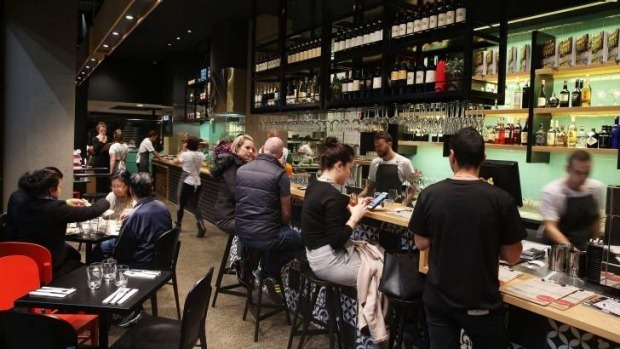 A Pizza Mario alumnus, de Falco opened his first solo restaurant eight years ago at Darlinghurst's Republic Square – a tiny place dominated by a massive pizza oven and a clutch of outdoor seats. This is a much bigger undertaking. 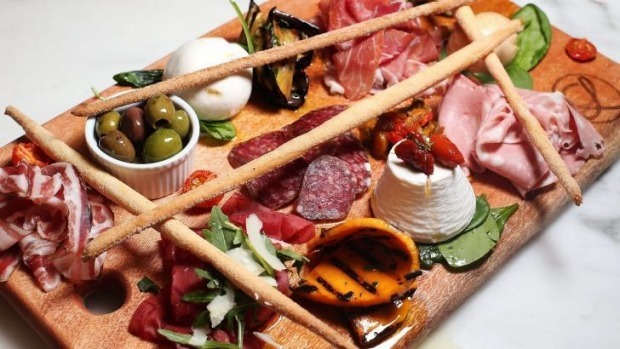 There's a mozzarella tasting menu, for one thing. Order a mini-tasting of buffalo mozzarella – fresh, sweet and mild – and an exceptional knot of burrata that explodes on impact. It's some of the freshest and creamiest this side of the equator. Smoked mozzarella has a delicious meaty, smoky quality. There are cured meats, hand-sliced to order for another. 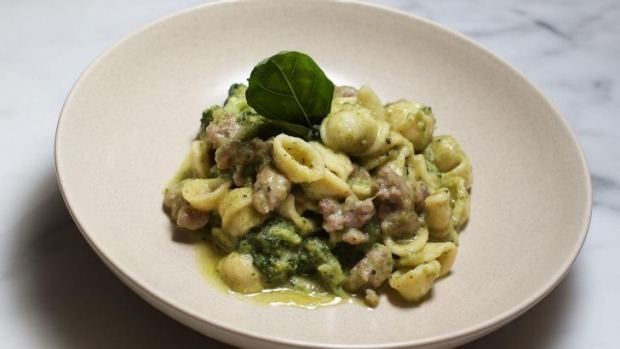 Firm orecchiette (everybody's favourite innie/outie belly button pasta shape) with broccoli and sausage makes up the trifecta. But chances are, if you've made the trek you're here for the pizza. 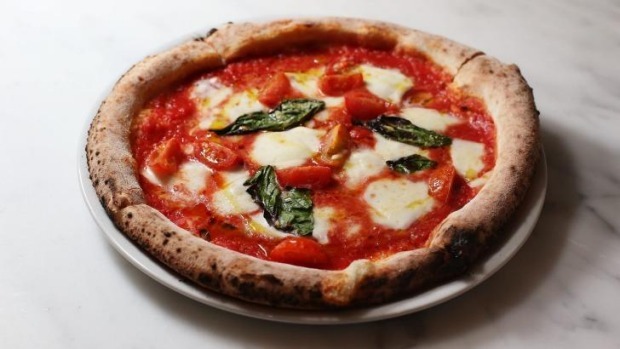 The bufalina – think of it as a luxed-up margherita – with buffalo mozzarella, parmesan and cherry tomatoes has a beautiful deep char, bubbling crust, and delicious malty chew. Lucio de Falco nails it again with the verdurine: a salty beast covered with roasted zucchini, eggplant and capsicum and fried salami on a tomato-less base, again with that excellent smoke and char. Unsurprisingly, the place is packed with families. Kids are running in and out of the restaurant. One sullen teenager goes into full meltdown as his mum posts an unapproved selfie on Facebook. 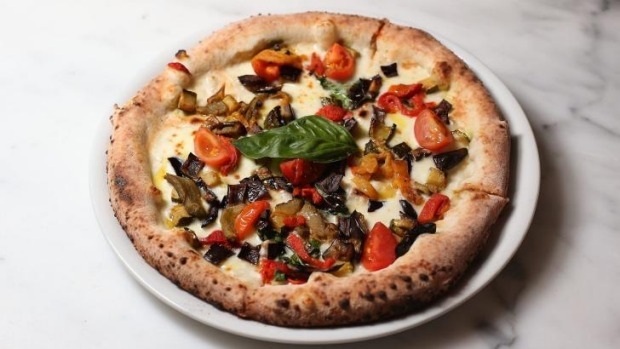 It's exactly what you expect out of a casual pizzeria – a loud, rambunctious, get-in-get-out affair balanced out with some truly excellent snacks.